If you have diabetes type 2 or type 1 or pre-diabetes and need to control your blood sugar, then know walnuts are definitely something you can eat and benefit from with your condition. And the reason why walnuts are good for diabetics and anyone needing to monitor their blood sugar is because of their low glycemic index score which basically means they don’t have much of an effect on blood sugar. This beneficial effect is owed to the nutritional properties of walnuts, particularly their high fat, high protein, high fiber content, whose effects greatly outweigh the effects of their moderate carbohydrate content. But what is the glycemic index? In simple terms, the glycemic index (GI) is a scale that measures how fast the carbohydrates in a food raise blood sugar levels. During digestion, carbohydrates get broken down into their simplest form, sugar, and that sugar is then absorbed into the bloodstream, contributing to what we call blood sugar (or glucose) levels. The GI scale goes from 0 to 100. Below 55 is a low GI. Between 56-69 is a moderate GI. Between 70-100 is a high GI. If you’re diabetic or pre-diabetic, then it’s advisable to try to eat more foods with low GI values and absolutely avoid foods with high GI values. 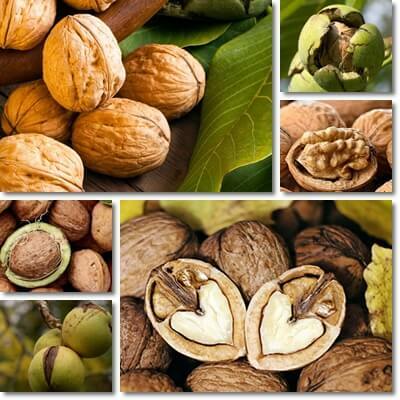 The glycemic index for walnuts is low, estimated to be around 20, similar to most other nut varieties. According to montignac.com, walnuts glycemic index is 15, a low score that is in agreement with GI values postulated for nuts in general. While there isn’t much research available at this time, it’s actually reasonable to assume walnuts glycemic index is around 15-20 since their nutritional profile matches that of other nuts with similar GI values to a great extent. And we all know the nutritional makeup of a food, more exactly its macronutrient profile, dictates its glycemic effects. Basically, the carbohydrate, fiber, fat and protein content of a food determines its effects on blood sugar. More of some macronutrients overthrows the effects of other macronutrients. For example, plenty of digestible carbohydrates in a food (including sugars) and little fat or little protein means the food is likely to raise blood sugar levels. But lots of fat, protein and fiber and limited amounts of digestible carbohydrates means the food should have minimal effects on blood sugar. Nutritional facts per 100 g of nuts. Observation: Of all the examples of low glycemic nuts from above, only cashews have a rather high carbohydrate content and a relatively low fiber content (but still healthy options – see these 12 Fantastic Benefits of Cashews for Diabetes). Still, all 4 nut varieties are high in fat (walnuts being the highest with over 65 g of fat per 100 g) and have a good protein content. Fat and protein take longer to digest and delay stomach emptying as well as the rate of sugar absorption into the bloodstream, offsetting the glycemic effects of the carbohydrates. This results in minimal effects on blood sugar and relatively low glycemic index values for almonds, cashews, peanuts and walnuts. Also read Can Diabetics Eat Peanut Butter? How many walnuts a day with diabetes? A very general recommendation is to only eat walnuts a few times a week. This would mean it’s not actually recommended to eat them every single day (with or without diabetes). A healthy serving of walnuts that would allow you to enjoy the benefits they have to offer without experiencing any side effects would consist of an ounce or 28.35 g or the equivalent of 7 walnut kernels or 14 halves. Of course, depending on your individual nutritional requirements, level of physical activity, current state of health and other factors, ideal intake may differ from general recommendations. For example, some people may benefit from having more than one 1-ounce serving a day or eating walnuts more frequently than a few times a week. Others may benefit more from sticking to recommendations. In any case, it helps to see a doctor or a dietitian with experience in diabetic diets to help you get on a diet plan that caters to your individual dietary requirements. Given they are so good for diabetes and blood sugar control, walnuts are definitely something to consider eating on a regular basis. But despite drawing some very important benefits for diabetes and other aspects of health as well (minimal glycemic effects, better blood sugar control, lower blood pressure, lower LDL and higher HDL cholesterol, weight management, anti-inflammatory benefits and benefits for diabetes-related eye damage, peripheral nerve damage etc. ), it’s not the best idea to overindulge or have them every single day, multiple servings a day. Keep your intake reasonable, in accordance with your individual nutritional requirements and level of physical activity.